Keep in mind that these tools are here to help you when your regular diet isn’t working for you, you’re at a plateau, and you need some change to get the results that you want. Because everyone’s body is different, some of these tools may work for some people, but not others. If you have any questions about these tools, nutrition, or anything, just send us an email. We’re more than happy to help you! It’s common to think that the serving sizes that we receive at restaurants is the perfect amount, but it’s not. The reality is that restaurants serve way too much food than they should and end up overeating or overindulging when we go out to eat. Don’t follow restaurant portion servings, but keep in mind that every person’s body is different and their plate’s food portion will differ in accordance to their body size and weight. People who weigh more will eat more food and smaller people will eat less food. How Much Protein on Your Plate for a Healthy Diet? The amount of protein that you should eat is measured by the size of your palm. Not your fingers, just your normal palm. For both men and women, they should eat about 1-2 palm sizes of protein. How Many Vegetables on Your Plate for a Healthy Diet? Try to include both starchy vegetables and non-starchy vegetables on your plate of food. Women should include a portion in the size of their fist and men can have a portion that is a fist and a half. When it comes to non-starchy vegetables, you can pretty much all that you want! For a minimum amount, we do recommend that women eat a fist of these veggies and men have a fist and a half portion. If you can have a portion size of 2 fists, that’s great! How Many Healthy Fats on Your Plate for a Healthy Diet? You can measure healthy fats by your thumb size and we recommend a portion size of 2-3 thumbs. With the holiday season around the corner, you’ll probably be attending lots of events with family, friends, and co-workers. It can be super tempting to eat lots of food; especially if there is a buffet at the party. Instead of getting a large plate to completely fill up on with food, take a smaller plate instead and fill it up with vegetables such as starchy sweet potatoes, zucchini, mashed potatoes, but try to fill up on lots of leafy greens. Include protein as well on your first plate to help satisfy your stomach. Also try to eat your food in this order: veggies, proteins, and finally starchy vegetables. By the time you’ve finished your first plate, you’ll have eaten a good amount of healthy, nutritious food that will satisfy you enough that you won’t be tempted to eat a ton of food afterwards. There’s a common portion myth and saying that goes, “You can eat as much as you want as long as it’s healthy i.e. vegetables.” However, this only counts on if the food is actually healthy to eat in large amounts and it depends on how it’s prepared in the kitchen. For example, cheese is a good source of dairy and protein, but too much is not good for our stomach’s digestion. It’s very easy to over eat foods that are healthy like cheese, but cheese is only good for us in small amounts. A good portion size of cheese would be 3 die sized pieces or the size of your thumb. So smaller portions of healthy foods are okay, just don’t eat small portions of unhealthy food all the time like getting a daily Starbucks Frappucino or eating dessert after dinner every day. If we’re eating healthy food, why do we eat less of it? Healthy foods are more nutrient dense and therefore we don’t overeat them because they satisfy our stomachs. In comparison, we’re likely to overeat on less nutrient dense foods such as Doritos or fast food because they have empty calories that we crave. Why do we crave these unhealthy foods and never seem to feel full? It’s because unhealthy foods and snacks are not giving our bodies the nutrition that it really needs. What is fasting? Fasting is simply not eating over a period of time. In fact, we all go through a fasting period every night when we go to bed and fall asleep and wake up to have BREAKFAST. Our first meal of the day actually helps us to break the fast! How Does Fasting Help Our Bodies? Fasting has a lot of great benefits, but it’s not suggested if you’re currently going through a period of high stress or you’re not able to sleep well at night. Fasting is supposed to naturally put the body into stress mode aka Adaptive Stress Response to help it lose weight. Therefore, if you’re going through already stressed out, fasting will just fatigue your body even more. You should also stay away from fasting if your main focus is to build muscle, not lose weight. Fasting is not good for muscle building because you’re depleting the calories that your body needs to restore and build muscle tissue. Carb cycling is essentially the process of mixing low carb days, high carb days, or no carb days. During the week, you decide which days you’ll eat a high number of carbs, low number, or no carbs at all. This cycle helps a person to lose weight because it revolves around calorie deficits. 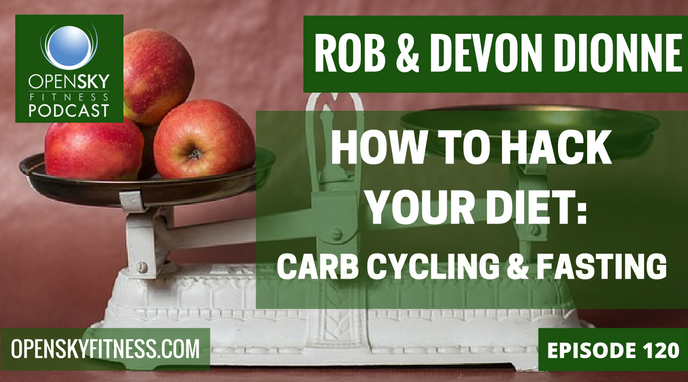 What isn’t carb cycling? Only eating carbs on days that you workout or include carbs as part of one meal during the day. Who’s a Candidate to Begin Carb Cycling? Carb cycling is perfect for those who want to lose weight, but these people must also be working out constantly to tolerate the constant fluctuation of eating different amounts of carbohydrates, fats, and proteins on different days. Carb cycling is about burning fat, not building muscle. Any diet that focuses on lowering food and calorie intake like carb cycling, is for losing fat, not gaining muscle. It is very common for body builders and physique competitors to participate in carb cycling to lose excess fat after they’ve built their muscles. The amount of carbohydrates and healthy fats will always change, but proteins stay the same. To begin a carb cycle, you need to know how many calories you’re taking in. As an example for a person who weighs 200 pounds, if you know that you need to take in 2,000 calories a day, that’s 14,000 calories per week. High carb days have an increase in calories (2,400 for example..increase your calorie intake by 400 calories). Let’s say you do high carb days 3 times a week (M,W,F). If you take 2,400 calories during a high carb day, you should take 7,200 calories during for the total of those 3 high carb days. 17% Healthy fat or 400 calories or 45 grams. **1 gram of protein per pound of body weight is more or less how much you want to eat. So a 200 pound person would take 200 grams of protein. There are 4 calories in 1 gram of protein so you would be taking in 800 calories when you eat 800 grams of protein and that amount is constant for both low carb and high carb day. 14,000 total calories-7,200 from 3 high carb days=6,800 calories for the remaining 4 days of the week or 1,700 calories per day on low-carb days. A no carb day is very similar to following the Ketogenic Diet. 23:00 Fasting: What is it, is it good for us, and what should we do? 28:40 Why did our ancestors fast? What are general thoughts on fasting? 33:30 What are the different types of fasting? 47:40 When is it a good time to start fasting? How do you prepare for it? 57:00 How much should you eat for low carb and high carb days during a carb cycle? 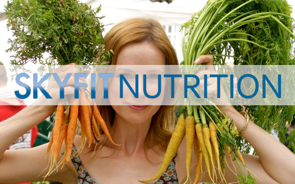 1:02:40 Why use tools to tweak your diet? 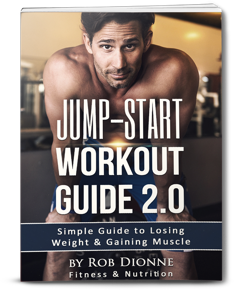 Thanks for listening/reading Episode 120- Open Sky Fitness How to Hack Your Diet: Carb Cycling and Fasting! We hope you have gained more knowledge on how to be a healthier you!